Need quality customer service when dealing with a Lehigh County oil delivery company? R.F. Ohl Fuel is your solution! We service Lehigh County PA homes & businesses. Call (888) 980-7774 for personal & caring attention. R.F. Ohl is a family owned and operated business and we feel that being a local, family-operated business with personal service that is prompt & courteous and with competitive pricing helps us to serve you better. Our staff treats every single customer like a prime customer, whether big or small. we are based in Lehighton, PA – Carbon County but we have trucks delivering oil in the Lehigh Valley daily! Here are some of the Lehigh County cities we service. Don’t worry if you don’t see your city listed – we deliver to ALL Lehigh County cities and towns. Lehigh County is bordered to the north by Carbon County and to the East by Northampton. 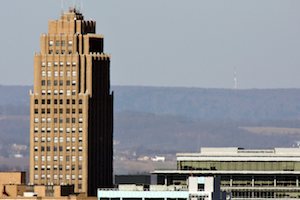 Lehigh County is home to the Lehigh Valley’s largest city, Allentown and some of the Valley’s largest employers like PPL. Lehigh County is home to the Lehigh Valley International Airport and is conveniently located an hour north of Philadelphia and 90 minutes west of New York City. Dorney Park is situated in the West End of Allentown, providing residents of the Lehigh Valley a fantastic amusement park filled with rides, games and water rides. Dorney Park unleashed their flagship roller coaster, Steel Force in 1997 which was the tallest roller coaster on the East Coast of the US. Steel Force has a vertical drop of 205 feet with top speeds of 75 miles per hour.